Elwood K. Harry is remembered most for the immense contributions he made to the international sport of game fishing. 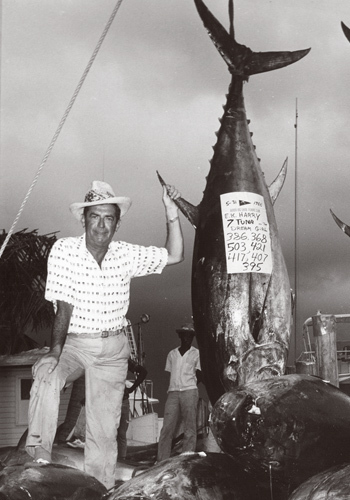 He helped develop a voice for the IGFA, which is still heard and respected by governments and policy makers of all countries, especially in relation to issues of conservation. Harry was dedicated to supporting the interests of recreational anglers from all walks of life. A donor contributing, accumulating or pledging $10,000 (pledge payable over five years) is recognized as a Harry Society member. Harry Society members will receive a custom plaque commemorating their commitment to game fish and the sport we love. Members will also receive an engraved plaque on the IGFA Donor Society Wall located at IGFA headquarters, on the IGFA website, in the annual report and in the IGFA World Record Game Fishes book.